Providers have been warned that government funding to help long-term unemployed people back into work was likely to be dramatically cut by 2020, FE Week can reveal. 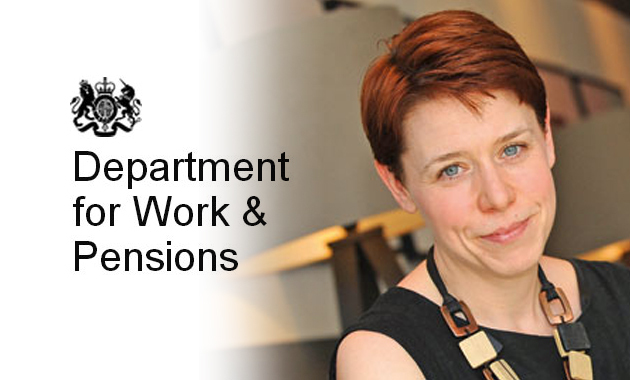 The Department for Work and Pensions’ (DWP) director for contracted employment provision Matt Thurstan last month sent a letter, seen by FE Week, to providers advising on what will happen after current Work Programme contracts end in April 2017. The scheme, launched in June 2011, involves private, public and voluntary organisations helping to find jobs for people who have normally been unemployed for at least 12 months, although shorter-term unemployed people can also be referred by local Job Centres. Total funding to providers through the payment-by-results scheme was around £2,001m up to June — which worked out at just over £500m a-year. But Mr Thurstan said in the letter that the department now recognised “the number of those requiring this support is reducing” — so “core funding” could be cut to just £130m-a-year by 2020/21 for a replacement scheme expected to be launched from May 2017. “Our new provision will support long-term unemployed claimants reaching the 24-month point in their claim, as well as targeted referrals of claimants with health and disabilities issues,” he added. Funding cut for back-to-work support The DWP currently has contracts with 15 providers for 18 regions across the country. The only FE college group contractor is NCG, which currently covers Birmingham, Solihull and the Black Country. The DWP terminated NCG’s contract for the North East Yorkshire and the Humber last March, replacing it with Devon-based Maximus. The DWP told FE Week at the time that this was because it was the “lowest performing [contract] assessed against a range of measures”. No-one from NCG was available to comment, but Employment Related Services Association (ERSA) chief executive Kirsty McHugh (pictured above), which represents employment support providers, said: “The programme has done fantastically at moving the long term unemployed into work, but it’s no surprise that the new contracts from April 2017 will focus far more strongly on jobseekers with disabilities and health conditions. A spokesperson for the DWP said: “Our welfare reforms and the Work Programme have helped thousands of these individuals return to work. We now have two million more people in work, and employment at a record high. If the Government fails to recognise the nature of long-term unemployment then a huge opportunity will be missed to improve the main back-to-work programme and to help many tens of thousands of disadvantaged people into sustainable employment. The currently proposed definition of ‘long-term’ unemployed claimants (it seems) doesn’t actually reflect the reality that many ‘cycle’ in and out of work for years even prior to making ‘new’ out-of-work benefits claims. If a claimant has been out of work for 2 out of the last 5 years then they should be considered as ‘long-term unemployed’ and have access to the new Health and Work Programme as early as possible. Otherwise, a lot of people are going to be ‘institutionally parked’ with Jobcentre Plus, who are far too stretched to properly support them for 21 months (after their initial ‘intensive’ 3 months with Jobcentre Plus).